Terry Patten speaks and consults internationally as a community organizer, philosopher, and teacher. Over the last fifteen years he has devoted his efforts to the integral project of evolving consciousness through practice, and facing, examining, and healing our global crisis through the marriage of spirit and activism. With Ken Wilber and a core team at the Integral Institute, Patten cowrote Integral Life Practice, which distills ancient and modern practices into a contemporary transformational lifestyle. As creator and host of the online series Beyond Awakening, he has explored the big questions of our time with some of our most prominent and dynamic thought leaders. 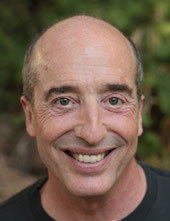 He founded and leads Bay Area Integral, which gathers and supports an integral community in the San Francisco Bay Area; he led a team at the HeartMath Institute that developed their first heart-rate variability monitor; and he founded the catalog company Tools For Exploration, which defined the field of consciousness technologies.